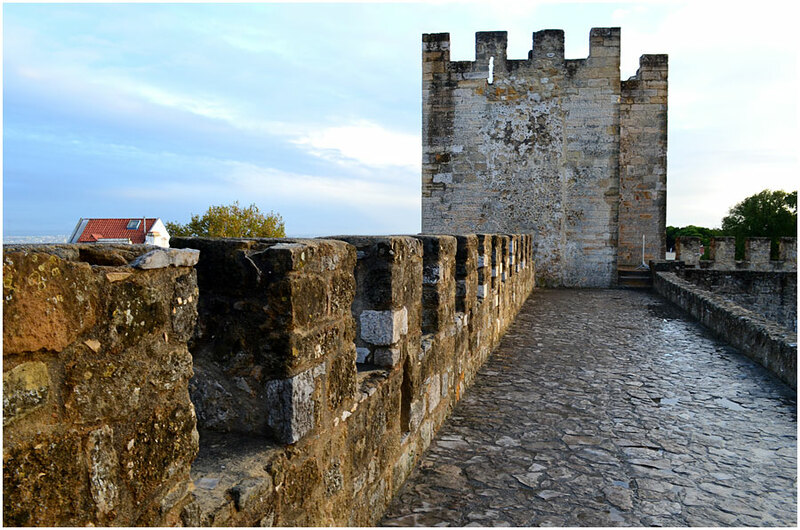 Once through the portals of the castle precinct, one can wander along the area between the castle walls (on the right here) and the ramparts above the city. 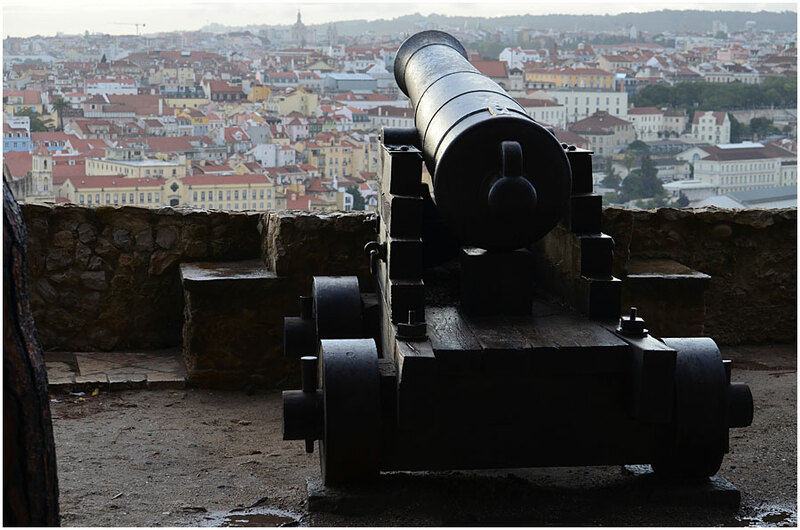 One of the number of cannon on the ramparts looks out over the Baixa. completed in 1966. The upper deck carries six car lanes and the lower deck two railway tracks (added in 1999). At 2 277m it’s the 23rd longest suspension bridge in the world. Also visible on the far left is the statue of Christ the King, a 110m tall structure completed in 1959. 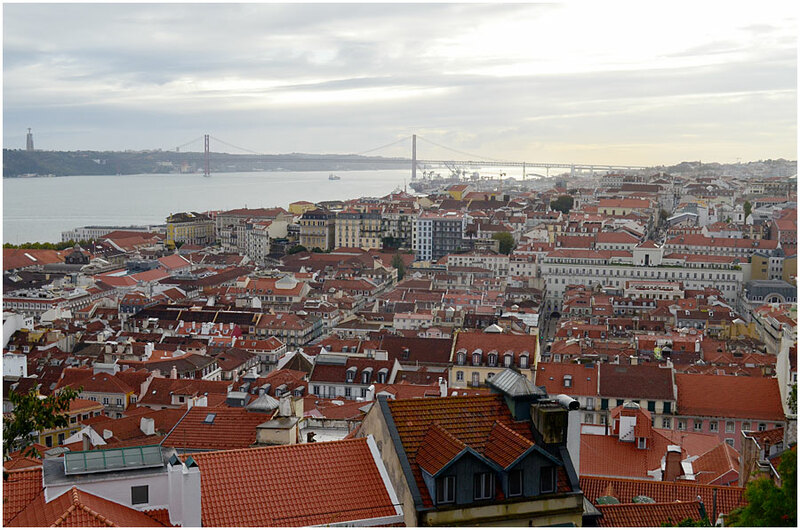 Here we look down onto the Praça da Figuiera (middle distance, right). 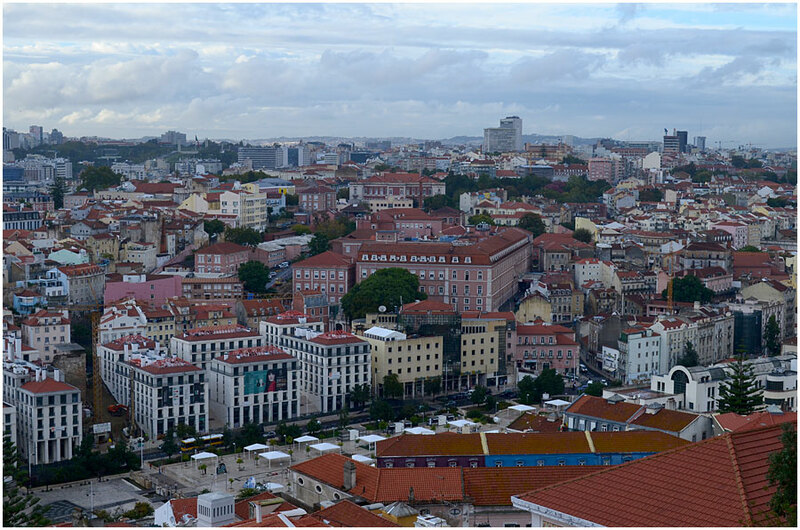 Just visible beyond and slightly to the left is the Praça Dom Pedro IV (where the trees peep over the roofs). 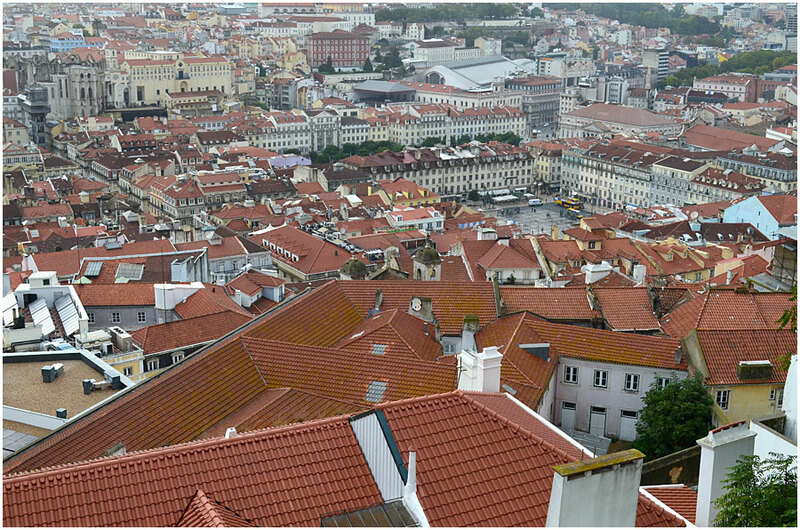 One also gets a glimpse of the modern roof of the Rossio railway station with its two narrow and one wide arches. 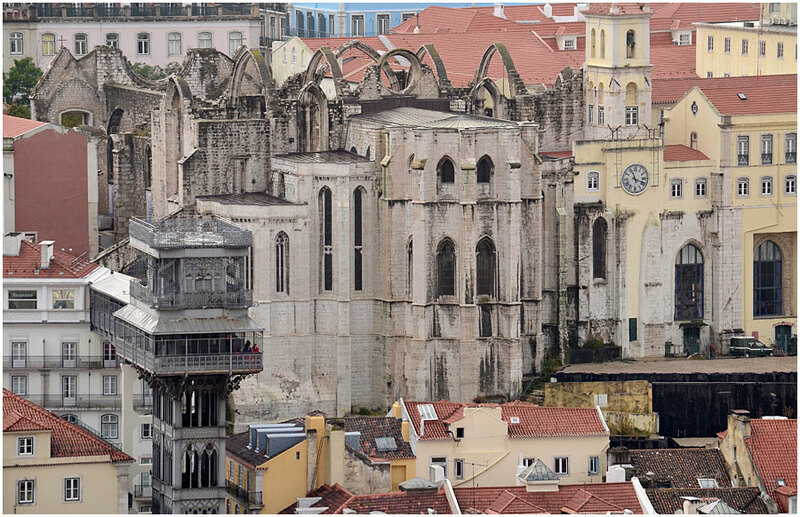 To the left is the Convento do Carmo, which we see better in the image below. (Santa Justa lift), a lift (or elevator) built in 1902 to connect the Baixa with the much higher Largo do Carmo. Today it functions mostly as a tourist attraction. swung shut. He lost his life, but his sacrifice enabled the crusaders to force the doors and take the castle. 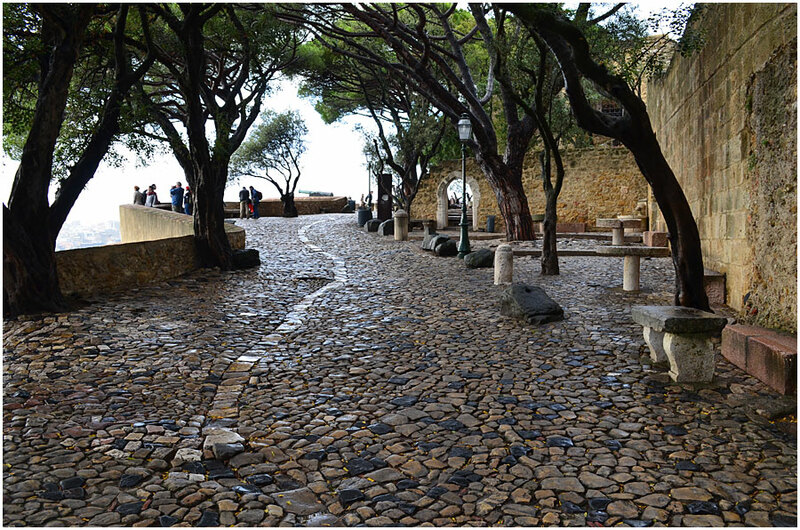 The inner castle or casteljo is much as it was seven centuries ago. 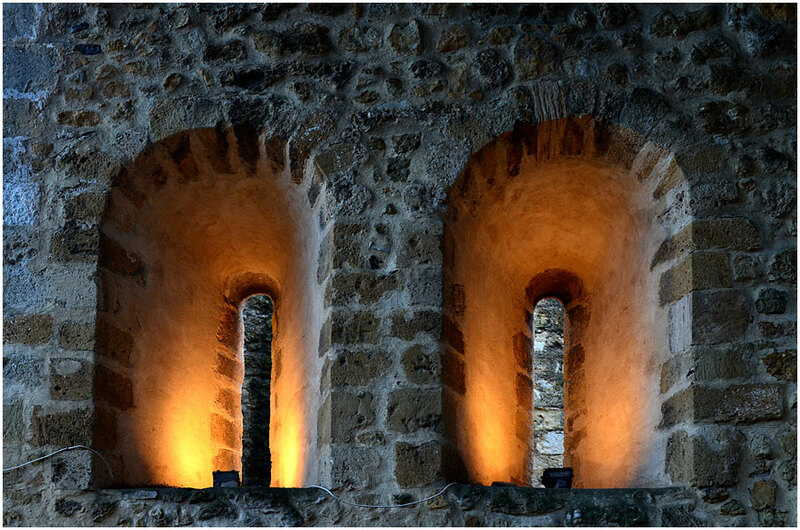 Much of the original castle has been lost over the centuries, but this part remains. The moat is now dry. 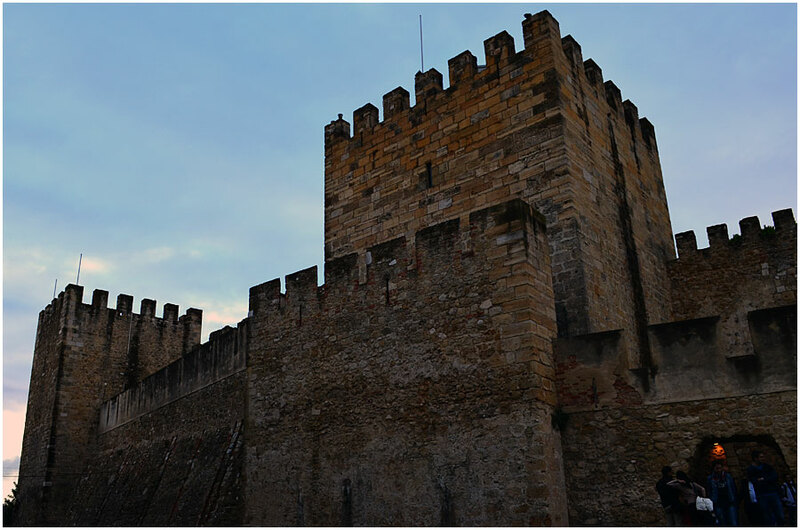 The main tower, Torre de Ulisses (Ulysses Tower) – previously known as the Torre Albarrã – was for many years where the Kingdom’s archives were held. 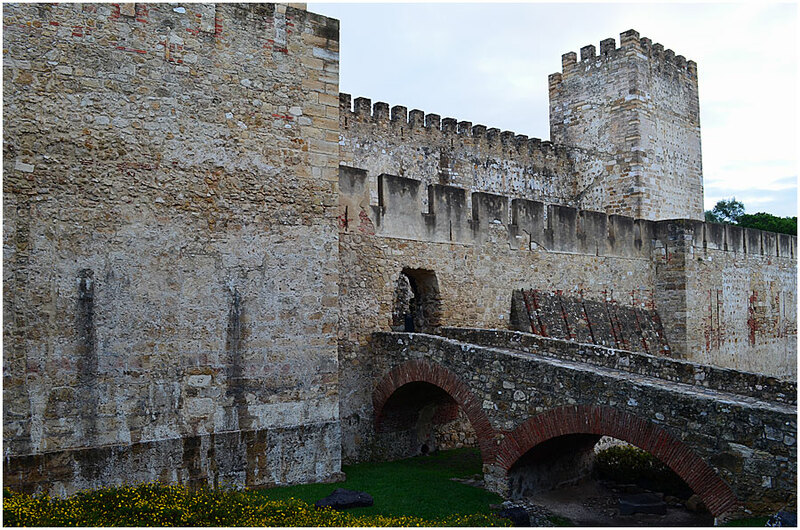 For more details about the Castelo, click HERE. These images are also to be seen on my website Ray’s Cam.